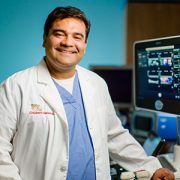 STAR’s performance was measurably better in some respects, compared with surgeons performing the same procedure manually or with conventional robotic techniques. Robotic surgery has been increasingly adopted for a variety of procedures. However, conventional robotic surgery is still controlled by individual surgeons. 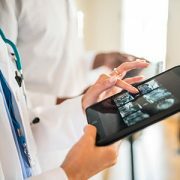 One way to avoid variabilities and improve outcomes is to automate entire procedures or parts of procedures. 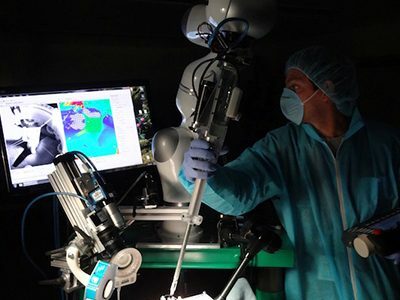 Thus far, autonomous robotic surgery has been limited to parts of the body with rigid anatomy, because of the unpredictability of soft tissues. These structures can move in unexpected ways during cutting, suturing or cauterizing. No autonomous robotic systems for soft-tissue procedures have been developed due to technology lags, including a lack of vision systems that can distinguish and track tissue in dynamic surgical environments, and intelligent algorithms. A team of researchers led by Peter C.W. 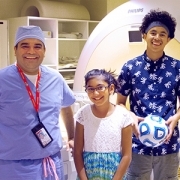 Kim, M.D., Ph.D., Vice President, and Axel Krieger, Ph.D., Assistant Professor of the Sheikh Zayed Institute for Pediatric Surgical Innovation at Children’s National Health System, developed the Smart Tissue Autonomous Robot (STAR) for performing autonomous soft-tissue surgeries. The researchers tested its capability in three areas: Suturing a cut along a length of suspended intestine, suturing together two pieces of intestine removed from an experimental model and suturing together two pieces of intestine inside a living experimental model. 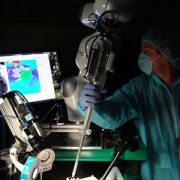 The autonomous robot’s performance was measurably better in some respects, compared with surgeons trained for at least seven years performing the same procedure manually or with conventional robotic techniques. STAR’s stitches were more consistent and less prone to leaks. This demonstration of supervised autonomous surgical tasks by a robot promises that surgeons can improve their technical and decision-making skills in the not-too-distant future, working collaboratively with intelligent robots to improve clinical outcomes. Q: Can autonomous robots be used for soft-tissue procedures more complicated than suturing? Q: Can this system be miniaturized for complex procedures taking place in a confined space, such as suturing together blood vessels? Q: How can we make more intelligent robots available to all surgeons? Source: “Supervised autonomous robotic soft tissue surgery.” Shademan A., R.S. Decker, J.D. 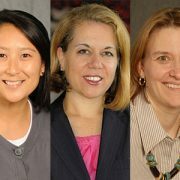 Opfermann, S. Leonard, A. Krieger and P.C.W. Kim. Published by Science Translational Medicine on May 4, 2016.